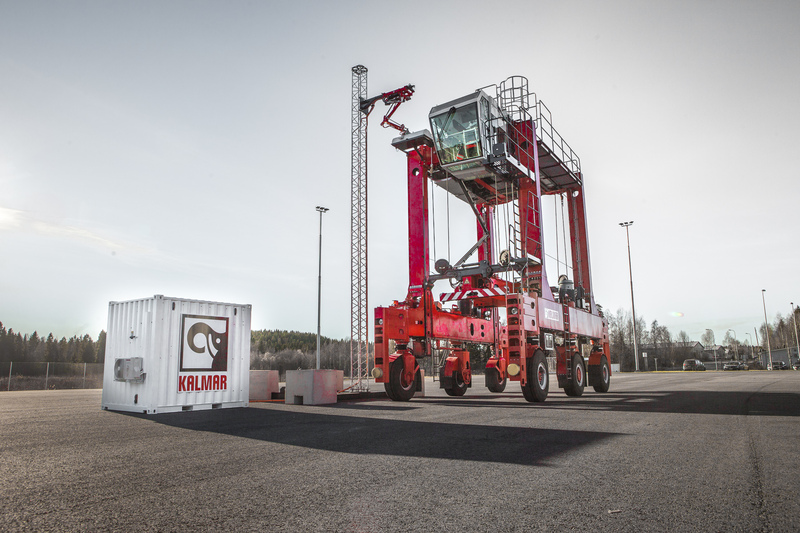 Kalmar, part of Cargotec, announced today that it will introduce the industry first fast charging solution for electric powered shuttle and straddle carriers. 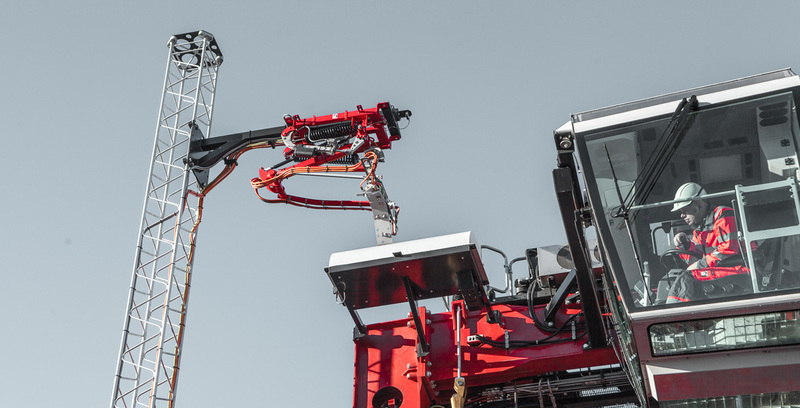 The Kalmar FastCharge(TM) solution is locally emission free and can be applied to both automated and manual operation. The Kalmar FastCharge solution is based on the same opportunity charging technology that is used in electric buses. The charging station with a pantograph direct current charging system is located flexibly on the working route of the machines in the terminal. The machine has modern Lithium-ion (Li-ion) batteries which enable fast charging to be used. Charging happens during the idle time in the machine working cycle when it has stopped to wait for the container. Typical charging time in operation is 30 to 180 seconds, and with the maximum charging power of 600 kW, full charge can be achieved in a few minutes. "Customers have been asking for electric powered shuttle operation for a while already", says Dr. Tero Kokko, Vice President, Horizontal Transportation at Kalmar. "This technology makes the charging process smooth, as there is no need to take the machine out of operation for battery swapping. Neither is there a need to invest in battery swapping stations and extra batteries." He continues: "Our hybrid technology has been extremely well received by the market. We have long experience in Lithium-Ion technology in hybrid machines, and this development is a natural next step in reducing emissions. This latest complement to our portfolio will provide excellent value to terminals which are facing even tighter environmental requirements." The Kalmar FastCharge solution consists of electric powered shuttle or straddle carriers and fast charging stations. 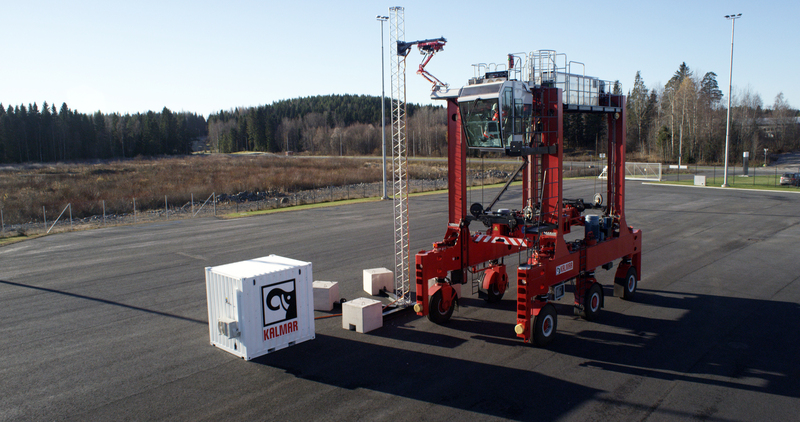 Kalmar continues to test and verify the solution at the Tampere Technology and Competence Centre in Finland, with plans to bring the solution to the market during 2016.